Josie Matabola will appear at The Jazzy Rainbow on March 30, 2019. This performance by Matabola is part of the Concerts SA Venue Circuit which aims to foster a love and support for live music in communities, as well as anchor small and medium sized venues in urban and rural Gauteng, KwaZulu-Natal, and the Western Cape. 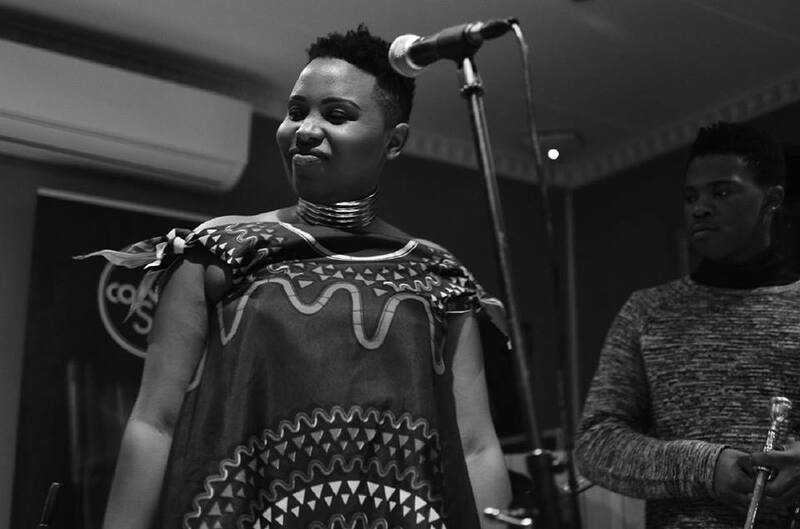 Hailing from Pretoria, Matabola is an up-and-coming jazz vocalist with an altered, defined sound to her music. With her vocal ability a robust driving instrument from tender age, she first acquired formal expertise at MC Art at The South African State Theatre. She later moved to the Vusi Mahlasela Music Academy and is currently studying Jazz at the University of KwaZulu-Natal. Looking to break barriers and advance her brand, she is working on building a reputable image through her music and has a number of tracks to her name, which she excitedly anticipates serving to the public. A highlight of Matabola’s fledgling career was performing at the Standard Bank Joy of Jazz. In 2010 she formed part of an all-female band called 'Friends Band' and became a backing vocalist for artists like Judith Sephuma, Louis Mhlanga, Sello Galane and Steve Kekana. She went on to work with Salim Washington, Tau Tshadi, Morayks and Paseka. She has performed her music at the South African State Theatre with Jazz and African nights, sharing the stage with Thandi Ntuli, and has been featured in various concerts by other bands. On the night, she will perform standards and her own compositions within the jazz genre, and is accompanied by highly talented musicians - Sanele Phakathi on piano, Dalisu Dlazi on bass, Sbu Zondi on drums and Thabo Sikhakhane on trumpet. The Jazzy Rainbow is situated at 93 Smiso Nkwanyana Road, Morningside in Durban.